Shoebuy is the online shopping destination for women, men and kids - making it easy, fun and affordable to find the shoes you love. We offer free shipping with no minimum, anytime, anywhere. You can find more than 1 million styles from over 800 of the best brands - on any budget. It's shoe shopping made easy. For customer service inquiries or to initiate a return, please contact Shoebuy at service@shoes.com. You have a job to do, and these work pants from Dickies ensure that you'll do it in comfort and style. 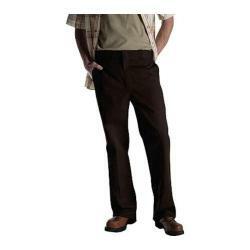 These pants are wrinkle and stain resistant and feature distinctive tunnel belt loops. Nice Quality, This Company know's how to make durable pants with good fit.